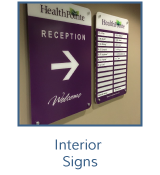 As your one-stop signage shop in Edmonton, all it takes is three simple steps to get the perfect sign for your business or commercial property. First off, determine your signage needs. Will your sign be for informational or advertising purposes? Secondly, contact Comsign Architectural Signage for a free consultation. 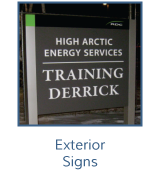 The last step is easy; we will guide you through the entire process, making it as simple as possible to choose the right type of commercial signage in Edmonton for your needs and budget. 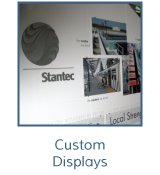 Comsign Architectural Signage creates a range of non-illuminated signs and displays, including plastic, metal and wood varieties. 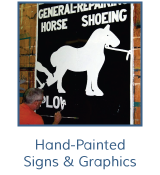 We use the latest sign making technologies while also embracing the “old school” art of hand-painted signs. We are the Canadian distributor for one of the leading mounting hardware and standoff system manufacturers, ensuring high quality, perfect installations and competitive rates. Comsign Architectural Signage has been profiled in SignCraft Magazine, where we’ve also authored a number of technical articles. 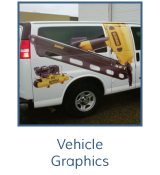 If you’re starting a new business or promoting a special offer in Edmonton, commercial signage is an effective promotion tool. We want to make the whole process of creating a custom sign as easy as possible — and the first part is free. 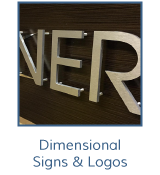 Call Comsign Architectural Signage to get started with your free personal consultation and estimate. “Thanks for the great service, Darlene. Customer is very happy and so am I.” – Barb C.
“Thanks for your help and patience with the installation. It was much appreciated.” – Karen M.
“Our client is an executive placement agency – they are very well known and respected in town, so I’m sure you’re going to get a lot of referrals from that install. I was at a party the other night and one of the real estate agents there actually had a picture of the sign on his phone because he liked it so much!” – Laurie S.
“You guys are awesome to deal with and if I can refer you to other people I certainly will.” – Jackie B. “The signs look great. The Stettler office contact already emailed around a photo, so she must be excited.” – Charles S.
“We are very pleased in every way with the roadside sign that Comsign designed, constructed and installed for us. The best judges of the project are our patients; they are always right, of course. Some of the comments we have received include, “very attractive”, “appealing” and “highly visible”. I will add that I am impressed with its durability. Thank you very much for your efforts. You will receive more of our business.” - Dr. R. H.